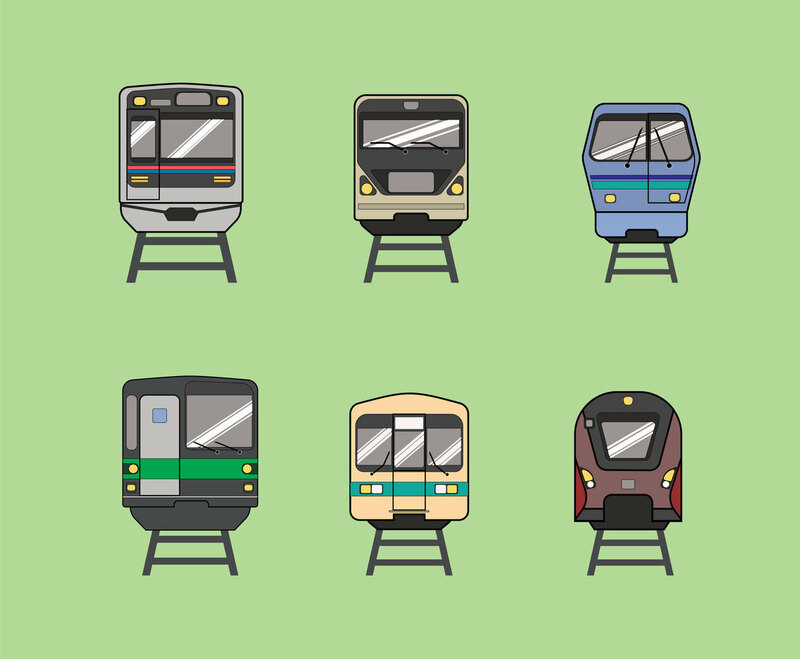 This metro vector set is unique, because they have front view illustration. Whenever you need a locomotive train with front view illustration, you can always use one of them in this set. It's good for tourism, or travel design theme.